Hindi Vidya Prachar Samiti’s Ramniranjan Jhunjhunwala College of Arts, Science & Commerce was started in 1963 which completed its Golden Jubilee year in 2013-14. It’s time to look back to thank all those who have been part of this journey but more importantly to look ahead as what we can offer to all our stakeholders. I am happy to say that “Hindi Vidya Prachar Samiti’s College of Law” is one of the upcoming Colleges in the Legal Educational field. It gives me enormous pleasure to be associated with such a prestigious educational institution. Our aim is to provide quality legal education taking into consideration that Law is the necessity of the hour as it establishes Law & Order. 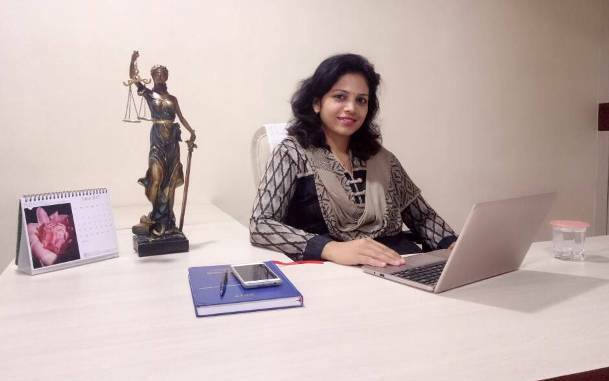 Keeping in mind that law is a part of humanities, we will empower our students with the tools required to succeed, inspire confidence and induce courage to meet successfully the challenges in the Profession and instill the professional culture of advocacy and a sense of loyalty to serve the needy person in the society. Apart from regular lectures, we will be organizing Guest lectures by eminent legal luminaries, Judges and senior advocates. We will also be organizing seminars and workshops, Moot Court, debate and elocution competitions, various camps, police station, court and jail visits, as we believe in the overall development of the student community at large. The college is equipped with a team of dedicated and experienced faculty ever ready to guide the students in academic and extra academic activities and the college has a library with good number of text books and law journals as well as periodicals for catering needs of the students. 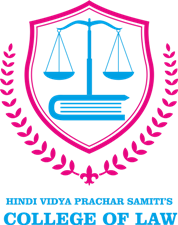 With the great support of our management, trustees, teachers and staff members, we aim to achieve tremendous success in the field of Legal education, as the Hindi Vidya Prachar Samiti is highly responsive, motivated and encouraging which has made us walk smoothly on this path of knowledge. I welcome and bestow my Best Wishes to all the students and hope you always be a part of the Hindi Vidya Prachar Samiti’s College of Law and Ramniranjan Jhunjhunwala College family. I hope that our website will assist in the endeavor.